Sid Arthur Campbell, 35, was arraigned Monday on one count of sexual abuse of a minor younger than 16 and three counts of lewd conduct with a minor younger than 16. Campbell teaches at Malad Middle School but said at his arraignment that he had been suspended with pay. 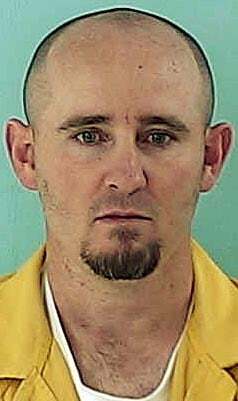 A preliminary hearing, at which prosecutors will try to show they have enough evidence to move the case forward, is set for Dec. 20 in Twin Falls County Court. According to a LinkedIn profile, Campbell also coaches high school football and middle school track and has taken in foreign exchange students. He is known to the two victims in the case. On Nov. 25, Oneida County Sheriff’s Lt. Patsy Sherman contacted Twin Falls police, saying a Malad High School counselor contacted her after a 15-year-old student disclosed that Campbell had sexually abused her in Twin Falls in February and March 2012. When Sherman spoke to Campbell, her admitted he had sexual contact with the girl three or four times. He also admitted to sexual contact during the same two-week period with a girl who now is 12. No one at the school had any idea, Oneida School District Superintendent David Risenmay told the Idaho State Journal. "He passed all his background checks and had been a pretty good teacher," Risenmay told the paper Wednesday. Campbell's position is currently being covered by substitutes. “Special education is a tough spot to fill as it is, but in the middle of a school year, it’s especially tough," Risenmay said. The Oneida School District has posted a job opening on their website. The position begins Jan. 2. "We're not real happy about having two teachers, one sitting in jail and one doing the job," Risenmay told the Times-News Thursday. Risenmay said the school board is waiting for the case to progress further to take action. The Twin Falls School District never employed Campbell, district spokeswoman Beth Pendergrass said. Prosecutors filed the case against Campbell, and a warrant was put out for his arrest on a $100,000 bond. One of the girls in the case has Asperger syndrome, an autism spectrum disorder, Deputy Prosecutor Jethelyn Harrington said during the hearing. At the teacher’s arraignment Monday, Twin Falls County Magistrate Judge Calvin Campbell signed a no-contact order, saying Sid Campbell must stay away from the two girls and anyone younger than 18. The judge appointed the public defender's office in the case. Public defender Ira Dillman said Sid Campbell has a minimal criminal history and asked that his client’s bond be lowered to $50,000. Judge Campbell set the bond at $75,000. Magistrate Judges Roger Harris and Calvin Campbell have disqualified themselves from the case, which now is assigned to Judge Thomas Kershaw. The judges did not give reasons for disqualifying themselves. In Idaho, lewd conduct carries a maximum penalty of life in prison and a $50,000 fine. Sexual abuse of a minor carries a maximum of 20 years in prison and a $50,000 fine.